Coalburn District Co-operative Society - Offices and Lesmahagow Branch in Abbeygreen. No date given. These photographs unless otherwise indicated, are from the archived collection in the Heritage Centre. The majority of these were collected by the late Jim Hamilton and include his own photographs taken in the 1980s and 1990s. 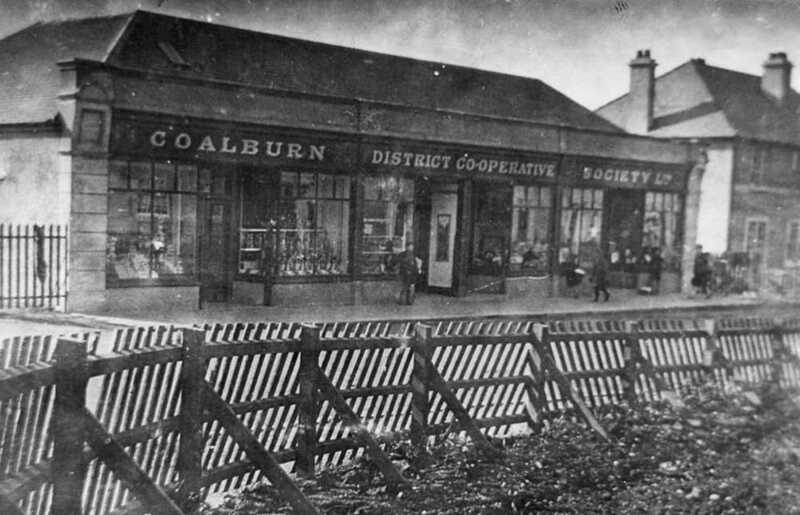 Coalburn District Co-operative Society was established in the 1890s and had branches in Lesmahagow and Kirkmuirhill. The main offices were in Abbeygreen, Lesmahagow. The Society and its branches closed in 1931. The buildings at the end of Abbeygreen (shown in top photograph) consisted of a grocery department (two photos below) and a boot and drapery department with an archway between which was the entrance to the offices. No dates were given for these photos. The original site of this branch was Myrtle Cottage (now the Coalburn Silver Band Hall). The main entrance was the gable-end facing the church and it contained both Grocery and Drapery Departments. Later the Branch moved to larger premises in an area between 16 and 22 Bellfield Road. A shoemaker was also employed. Unfortunately, this building burned down (the precise date is not known). 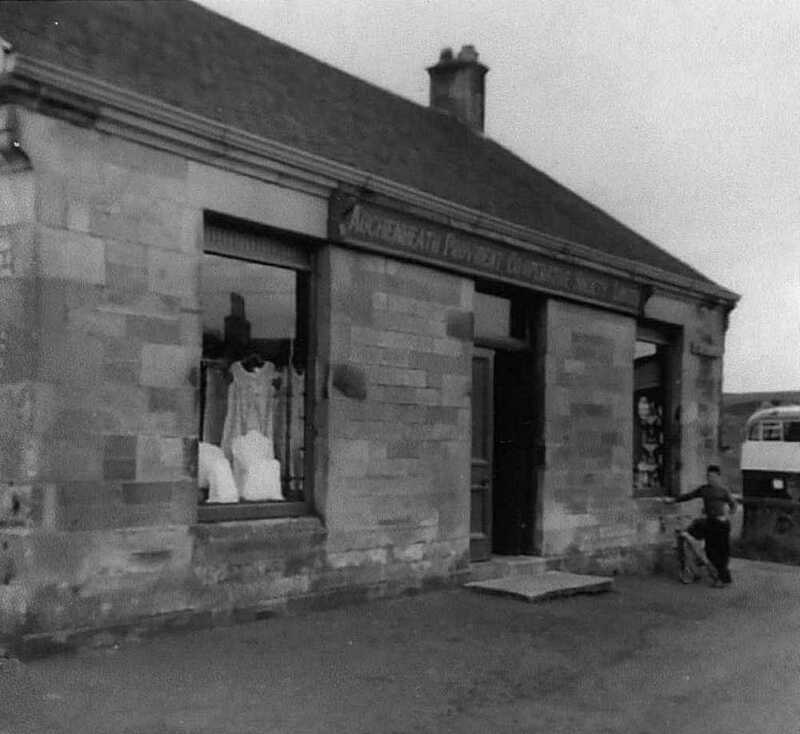 So, the Branch moved again to larger premises in Coalburn Road (shown below) which included Grocery, Drapery, Baking and Fleshing Departments. Following the demise of the Society in 1931, the building was subsequently taken over by the Abbeygreen Co-operative Society. The Kirkmuirhill branch suffered from competition from three other societies in the parish - Larkhall Victualling, Abbeygreen and Auchenheath Provident. 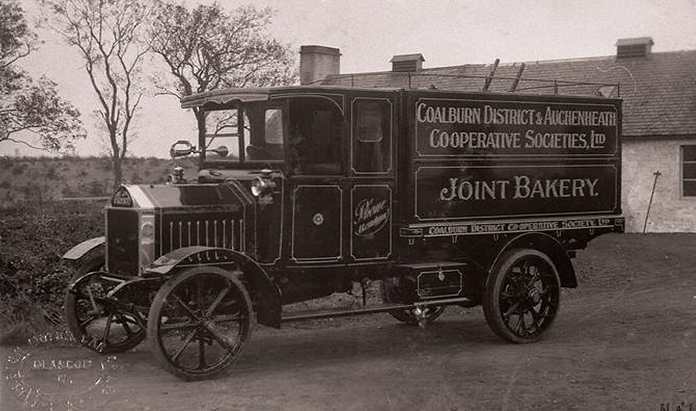 Coalburn District operated a joint bakery with Auchenheath Provident Co-operative Society. Shown above is their Albion delivery van. Sitting on strawberry barrels in a hut in a Lanarkshire fruit field, six men decided to start a co-operative society at Lesmahagow. That was in October 1913. Had they known that within a year the Great War would sweep Europe, they might not have been so venturesome. On the other hand it might not have affected their decision, for, after all, was it not a local " war " that gave them the idea of a separate society for Lesmahagow ? Yes, that was how Abbeygreen Society was born. A simple incident concerning an employee of the Coalburn and District Society led to a strike and a split. 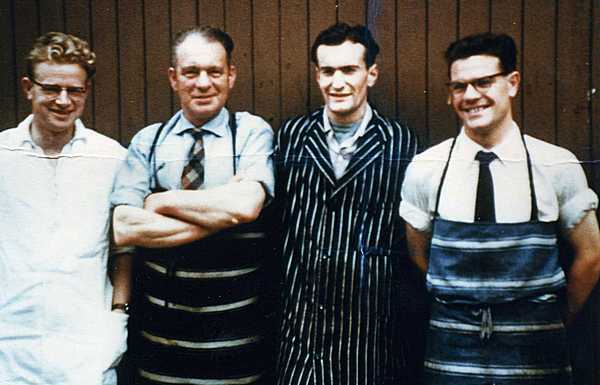 One of the employees who found himself out of work because of the strike was Mr. James Inch, who had started his career with Coalburn as a message boy for the remuneration of 50s. a quarter or 3s.9d. a week. Mr Inch's idleness did not last long. He was invited to join the second meeting in the strawberry hut. Would he become manager of a new society? he was asked. His answer was "Yes," and the six men rose from their strawberry barrels to canvass the district for financial support. So confident were the people of the success of the venture and of the promoters that they immediately subscribed £400 in sums ranging, from one shilling to £20 - and asked no receipts at the time of collection. Within three weeks a double shop was open and stocked - although the SCWS refused to supply Mr. Inch because a society (Coalburn) in membership of the federation already existed in the district. 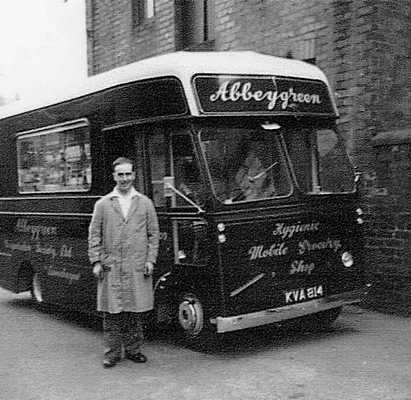 Although 35 years have elapsed since Abbeygreen Society opened its doors, Mr Inch still remains at the helm but instead of being the sole employee as he was for the first month or so, he now controls a staff of 34. Incidentally, as well as nursing the "baby " society, Mr. Inch was responsible for christening it. Many who are not acquaint with the district wonder why the society that operates in Lesmahagow does not bear that name. Actually the village and street in which the society had its headquarters are named Abbeygreen, although the parish is called Lesmahagow, and when the question of a name arose Mr. lnch considered there would be less confusion if the name "Abbeygreen" were chosen. He won his point. Born out of trouble, the society has been remarkably free from setbacks. The prophecy made by a Coalburn and District board member that they would "close that small sweetie shop in six weeks' time" was wide of the mark. It was, in fact, the Coalburn Society that collapsed in the troublesome '30's and now Abbeygreen Society serves that mining community as well as the rural area of Lesmahagow. The shops are easily the most modem in the district and, compared with the first year's drawings of £7,690 they now attract an annual trade of close on £130,000. All the premises, incidentally, are completely written off the balance sheet-which gives the society the hall-mark of stability. The Abbeygreen board of management, who have had Mr. John Lang as their chairman since 1915, are looking forward to fresh developments with the erection of the town's first factory, a knitwear establishment opened by a Leicester firm. Already the factory employs 100 girls, and when completed it will provide work for close on 500 people - a bright prospect for trade in this fresh little town in the uplands of Lanarkshire. 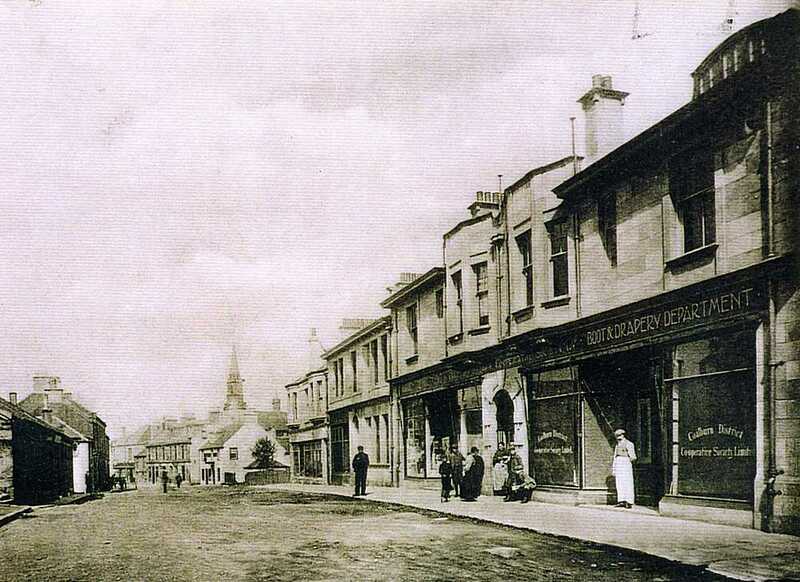 More evidence of the dissent in Lesmahagow in 1912. 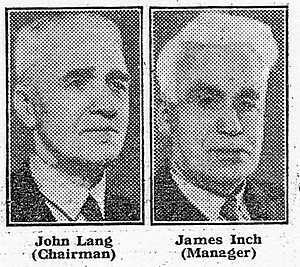 Locals on the Board of the Coalburn District wanted to break away to form a Lesmahagow Co-operative. A large crowd gathered outside to hear their views and the outcome was the formation of the Abbeygreen Co-operative Society. The Society started with a shop in Abbeygreen at the junction with Langdykeside and eventually expanded to include Fleshing, Drapery and Furnishing Departments. These were also in Abbeygreen along the row of shops towards the Fountain. 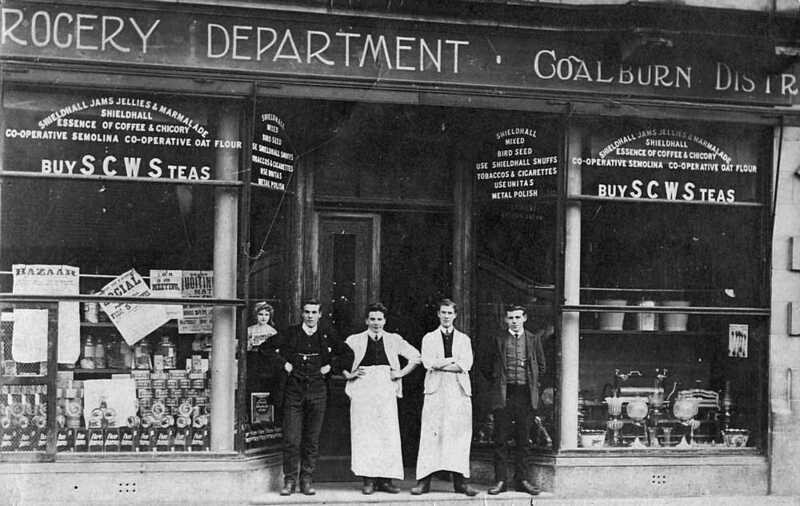 The two Societies competed with each other, both stocking a wide range of goods, until the Coalburn District collapsed in 1930. Abbeygreen's first premises in Coalburn was across from the Miners' Welfare Institute and, some years after, it moved to the former Coalburn District premises. The church then bought their former building to use as the Church Hall, this was in 1935. 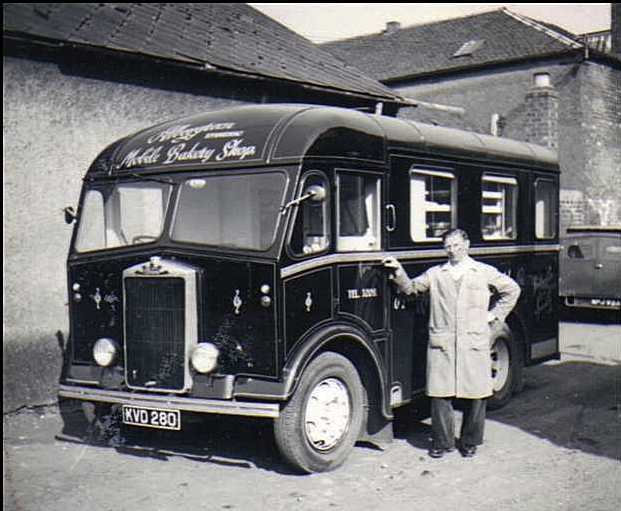 Abbeygreen's mobile Albion Mobile Bakery Van with Hugh Carswell. 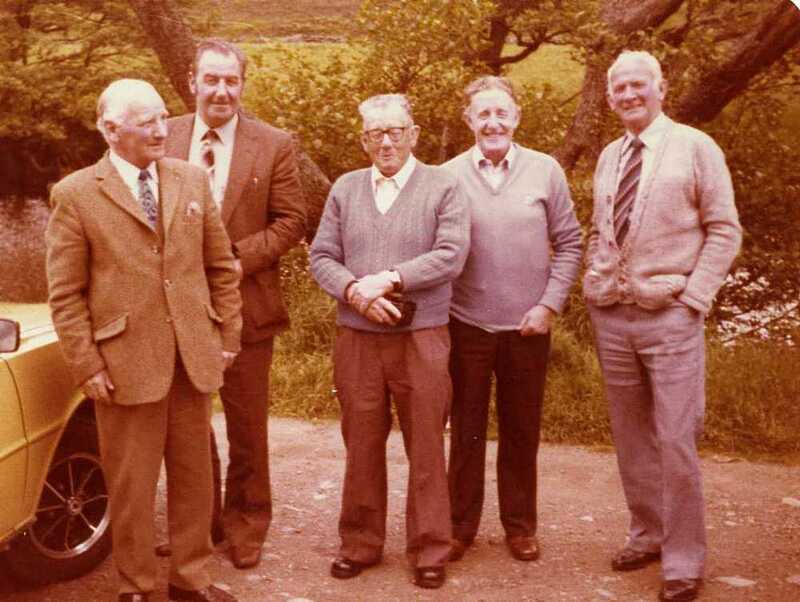 The board of Abbeygreen Co-operative Society in 1981 on their last outing. Left to right: Wull Steele, Jim Steele, Bobby Graham (Committee members), Daniel Naylor (General Manager and Secretary) and Dave Robertson (President). James Hamilton (Treasurer) is not in the photograph and may have been behind the camera. Abbeygreen Drapery and Fashions, Footwear and Gents Shop in Abbeygreen in 1973. The above photo taken in 1973 showed the premises in Abbeygreen directly opposite Langdykeside. This is now the site of the Resource Centre. The Menswear Department was opened in December 1961 with Calum Grierson in charge. 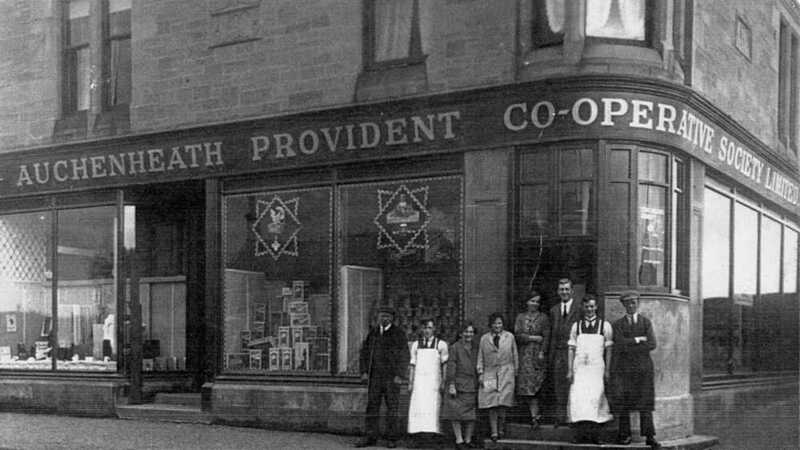 From the 1870s to the 1960s, Auchenheath Provident Co-operative Society traded successfully in Auchenheath with branches in Kirkmuirhill and Coalburn. 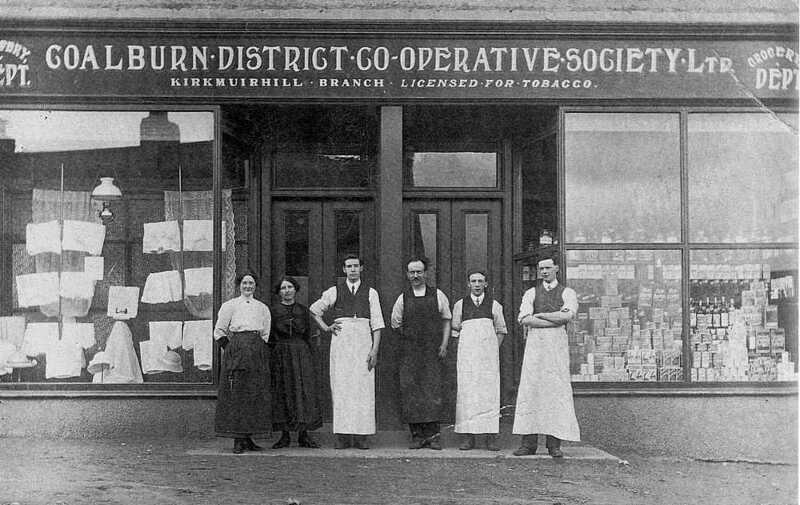 Auchenheath was the first Co-operative in Coalburn and was initially situated in Bellfield Road where the Post Office was. This is believed to be in 1891. 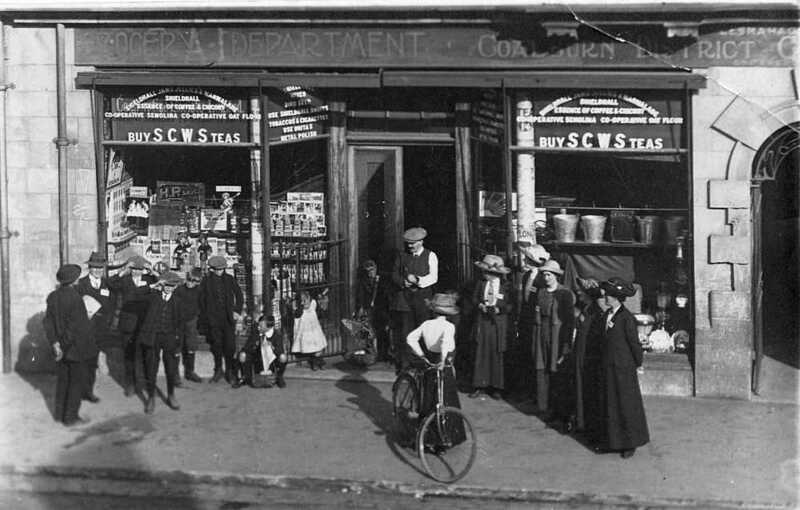 The above photo shows the shop when later it moved nearer to the Station in to what later became Joseph McGill's shop. It has since been demolished. The final move was across the road at the bridge, as shown below. 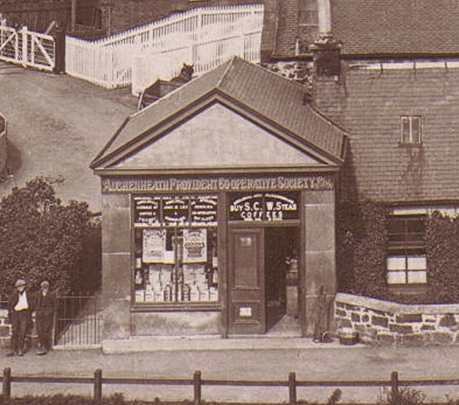 Auchenheath Provident Co-operative Society Coalburn Branch. No date given. The Drapery Department was on the left and the Grocery Department on the right. Pat Casey, the cobbler worked at the rear of the Drapery. To the right of the building is the Stokes' bus. 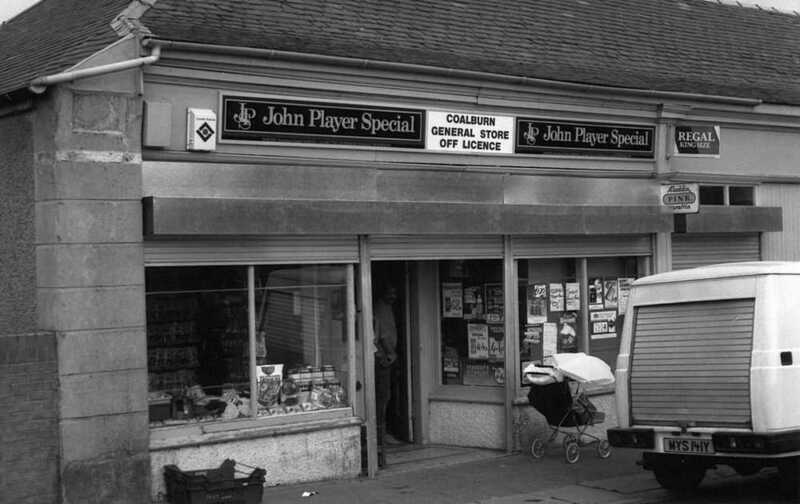 The building is still there and is now a mini-supermarket. The co-operative societys' trade dwindled, however, as people were moved out of the miners' rows after 1945. A combination of a decline in the number of customers and changing shopping habits, with villagers preferring to travel to larger towns resulted in the societies struggling to survive. Auchenheath Provident Co-operative Society closed in the 1960s and Abbeygreen Co-operative folded in the 1980s. 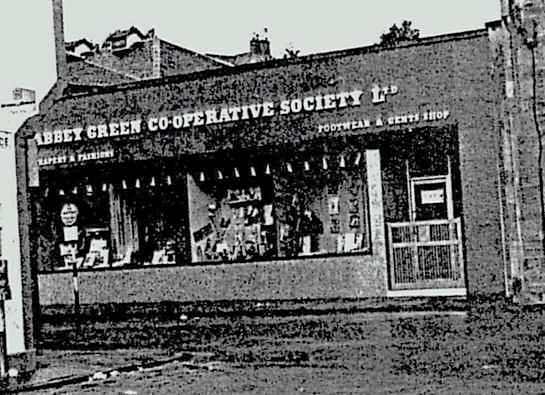 The Lesmahagow Branch of the Abbeygreen Co-operative Society was taken over by the Co-operative Retail Operations Group and continued to trade under the new Co-op Cloverleaf banner. This photograph taken in July 1984 by Jim Hamilton shows the former Abbeygreen Co-operative premises in Coalburn under new management. 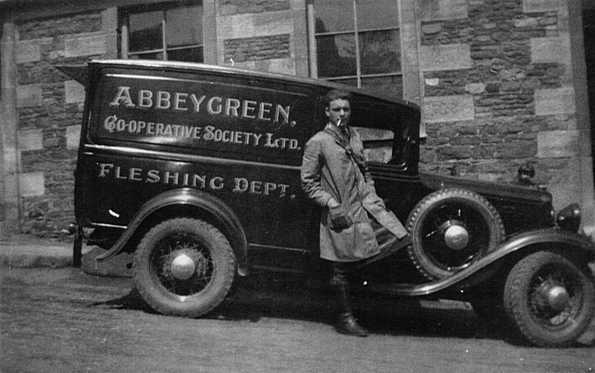 The Abbeygreen Co-operative Society was then no longer in existence. 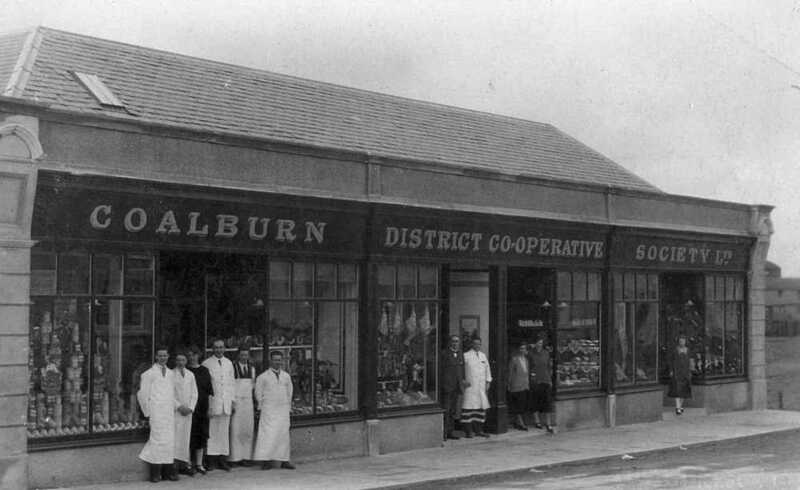 Only a few years prior to this, there were two co-operative stores in Coalburn - Abbeygreen and Auchenheath. The Lesmahagow Co-op faced stiff competition from Tesco when it opened in 2010 and had to close in November 2012. Prepared: 19/03/2018 DH. Updated: 3/04/2018. Thanks to Betty Nicol and Peter McLeish for their help with this article.